*Certified organic. 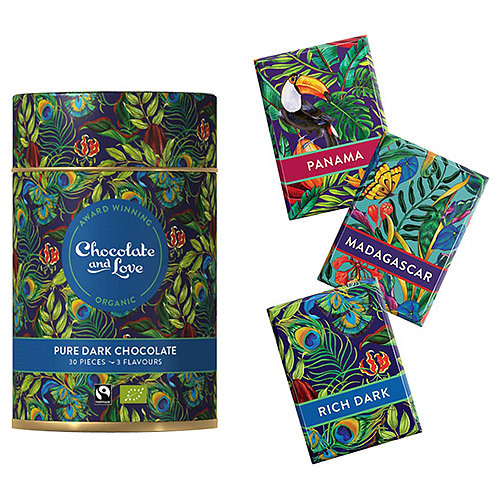 Cocoa, sugar, vanilla: traded in compliance with Fairtrade Standards, total 100%. Cocoa: 70% minimum. 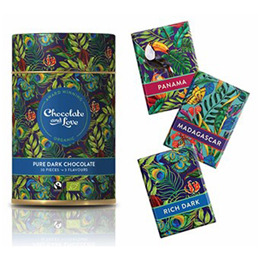 Below are reviews of Chocolate and Love Pure Dark Tin - 30 x 5.5g Pieces by bodykind customers. If you have tried this product we'd love to hear what you think so please leave a review.